March 18 – 07.00 PM On the second day, the Lord told me that I would pass the exam with good grades. While I and my mom were still worshiping the Lord Jesus , suddenly an angel came and took my spirit, we flew up, and then we stopped and stood on a rock. And the angel showed me several beautiful cities and , I could see : Nabire, Serui, Biak, Manokwari. 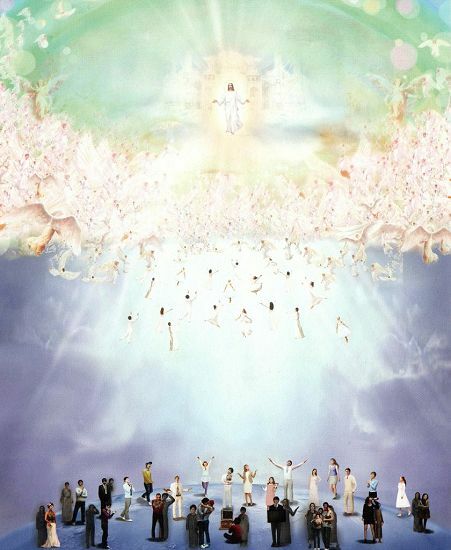 The angel spoke to me,”God told you to go and stand in those cities to deliver a message from the Lord , THEY MUST REPENT because “THERE IS NO MORE TIME , JESUS IS COMING VERY VERY SOON” and I asked the angel: “Who are you? ” and he replied ,” I am Gabriel, an Angel of God.” Then the angel sent my spirit back into my body. While I was on my way from Abe to Entrop, I arrived in Kotaraja and was still in a taxi when an angel came, picked me up, and we flew over the city of Jayapura , and the angel said to me: “Try to look down!” and I saw a lot of people standing, they wore black clothes , covering them from head to toe. And their eyes are black and there is a fire in their eyes. I saw them everywhere, in the hospital, at the road sides, in the middle of the street, in the market, at the front of houses, they were everywhere. I saw their hands were holding large forks , then I asked the angel, ” Who are they?” And the angel told me that they were the angels of death. When we were still flying spiritually above the city of Entrop, I saw a group of young people drinking alcohol in the street, I was very sad because the death was surrounding them. The angel took me and we continued to fly up through the clouds. I saw the earth below me became smaller and smaller. We flew on and passed through the narrow and dark tunnel, I was very scared and the angel hold me, then I saw a bright light and that was Heaven, I and the angel arrived at the gate, there were two guardian angels in front of the gate , the gate was decorated with pearls and crystals and it opened itself, then that both of us walked into the garden. There was an opened door and through it I could see a long table was neatly arranged and it looked like there will be a party (Holy Communion) soon, there was an angel who stood behind each chair, each of the angels holding a trumpet in his hands, and it looked like they were going to blow the trumpet very soon. Then I continued to walk again inside the Heaven, in the garden I saw different kinds of trees and various kinds of fruit, I saw flowers which were very beautiful, the angel Gabriel came to me, and said: ,”Your time is up and you have to go back” and I spoke to him, “I am so happy here and I do not feel like going back because here I feel so peaceful”, and suddenly there was a voice coming from the Throne of Light and Glory , the voice said to me, “Lala, you have to return now ” and the angel Gabriel escorted me back. From up above, I was watching over a red taxi which I was riding before, it was going and passed the local government office toward Entrop terminal. And the angel sent my spirit back into my body and I woke up and said “Halleluya!” All passengers were shocked and looked at me, they asked “Sister, are you okay ..?” I was really surprised because I was leaning on the shoulder of a passenger, and she rubbed some oil on my nose because she thought that I was fainting. I stopped the taxi when I reached the destination. 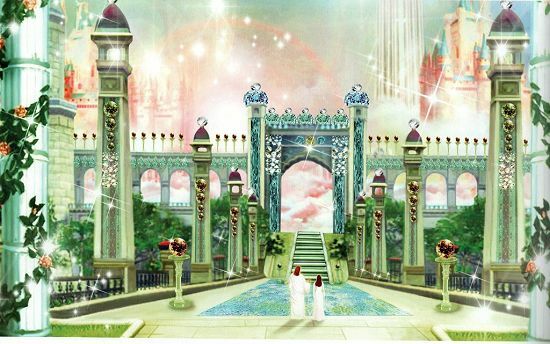 Around 11 pm while I was sleeping, an angel came and took me to the Lord, we entered the gate of Heaven, and I saw a man standing and He was wearing a very long white robe. He opened His hands to me, I walked toward Him and He carried me, and I know that He was JESUS, then we both walked in Heaven. The heaven is so wonderful and full of kinds of flowers, which I have never seen here on the earth. Everything is there, my heart felt very peaceful in that place, there are shady trees, bearing fruits, and there is also a very clear flowing river. I and LORD JESUS walked again, I saw there was a room and there were two angels standing there. There was a big book on the table, and I asked the Lord, “God, what kind of book is this? The Lord Jesus answered , “This is The Book of Life“, I asked again, ” Can I see inside the book, the Lord Jesus answered “Yes, you can.” And the two Angels were ready to open the book page by page , on the first page I saw the names of one family that I know, I saw it again and there was my brother’s name and I said to Jesus, “God, this is my brother and LORD Jesus replied,” Yes, I know his life. Now he is here and he is praising the Lord. The angel opened the following page, I saw the name of the person which I also know again and I said to Jesus,” This is my uncle”. Lord Jesus said, “yes, he is here.” I embraced Jesus and cried. Then Jesus and I continued to walk in the garden when I saw two people came toward me, the older one is around 18 or 19 years old while the younger one is 2 years-old, the little boy ran and hugged me but I felt he went through since we both are in spirit form. The older boy who was 18-19 years old, looked so similar with my mother , they looked like twins, then I remembered my mother has told me that I had an older brother who has passed away since I was a baby, then I knew that he was my brother. After that, both of them went back to their own rooms. THE LORD JESUS held me and then we both flew into a wide tunnel. Lord Jesus and me kept on going along when I could smell very horrible odor and then I felt the air was very hot. Far ahead I saw a three-legged demon, and he hold a trident and when he saw Jesus, he bowed down. Lord Jesus and me continued to move on to a place and LORD JESUS allowed me to see a very deep well with full of men being tortured by devils. The devils tormented them until their flesh came apart but they could not die. We walked again and then I saw a table with a book on it and it was written “Adultery”.I saw people naked in a lake of fire. They saw Jesus and called “Father, Father ” but Jesus did not look at them. I still walked with Jesus, and we noticed there was a servant of God.Then I asked Lord Jesus, ” God! Why is there a servant of God in the hell?”. LORD JESUS said “I chose him, but he never delivered My message.” Then he saw Lord Jesus and shouted “Father, Father, please take me just for a minute out of this place, for I want to repent.” Then the Lord Jesus said to him, “It’s too late, now I’m using her as my servant.” while pointing to me. And I saw again there were so many young people who were dancing on the nails to the rhythm of the music. If the rhythm of the Rock Music was heard, they had to jump faster and were not allowed to stop for a moment. If they stopped, the devils came and tormented them. Then the Lord Jesus looked at Gabriel, and Gabriel bowed down to worship under the feet of JESUS. Then the Lord Jesus said to Gabriel, “Bring My child back.” And Gabriel took me and we walked to the gate and I saw another angel came and he spoke to Gabriel with the language which I did not understand, but Gabriel pointed to me and he looked at the Throne of GOD and so was the angel, Michael, and the LORD JESUS looked at us, then Michael bowed down and allowed Gabriel and me to continue our journey. On our way back, Gabriel asked me, “What did you talk about with the Father?” And I replied, “There are a lot of things JESUS spoke to me.” And I asked the angel,” What do you do in heaven?” The angel answered, “I am the guard of our LORD JESUS, whatever the Lord Jesus asks me to do, then I do it all”. As we got closer to my house, we walked and saw a lot of angels of death standing on the left and right side of the road. When we arrived, I saw one standing in front of the fence. And at the front door of our house there was one angel of God guarding the house. The Angel of Death was very nervous as he wanted to get into the house but he could not do it because there was an angel of God guarding our house. After that, the angel of death went to the back of the house and he tried to get in but still he could not succeed because there were two angels of God guarding the back door of our house. Unsatisfactorily, the angel of death tried to get in for the second time but he was thrown, fell down and disappeared like dust in the blowing wind. Gabriel escorted me back to my bedroom and my spirit went back inside my body physically at 06.00 am. Afterward, I returned to my daily activities as a student. When we had a service in a house of our church’s member, the angel Gabriel came to pick me up and took me to the Lord Jesus. Then the LORD JESUS showed me the city that I had to go. He asked me to deliver the message to a Catholic church in Wamena. I was with my mother and my aunt. We were at Wilson Sentani family’s resident. At 1.00 pm, while my aunt were praying for Wilson family, and I again laid in the room, I saw the angel came, I could see the angel came because my spirit was out of my body and sat on the bed . I called the Angel to enter the room but the angel was standing there out the room and I called him once again. The angel pointed to my aunt who was praying. I called the angel once again, and the angel said to me “I cannot enter the room, (he pointed his finger to my aunt), since the servant is talking to the Father, so that I have to wait until she finished praying or say Amen “, then the angel came to the room and took me to the Lord Jesus. 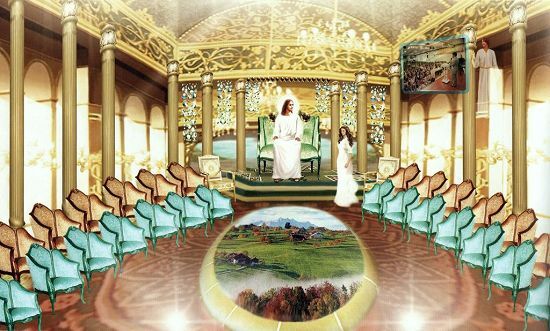 After we arrived in Heaven, the Lord Jesus told me a message to deliver. At 12.00 pm, I found my body became heavy and wanted to sleep, because an angel would come to pick me , but my mom kept telling me to get my clothes ready for tomorrow morning service. Once I fell asleep, an angel came to take me to the Lord. And the Lord Jesus started to speak to me. “Lala, tell your mom to allow you to sleep when your body is heavy , because I want to say something very important”. At 4:00 pm, I was still in the pastoral house, I was taken by an angel to see the Lord. LORD JESUS showed me, a big hole which was deep and dark. I saw there were a lot of people pulled into the hole, they tried to resist, but failed and fell into the hole. At 07.00 PM, being in a Worship Service , as usual an angel picked and took me to the LORD JESUS. I saw Jesus standing in front of the gate and waiting for me, once I got there, Jesus said, “You have to go to Wamena urgently and deliver My message to My people, they have to REPENT because time is up. You need to go there to Wamena.” Lord Jesus said with His sad face , with a downcast face and cried , His tear dropped and fell on a large glass table where JESUS can see everything that people say and do. I asked the Lord, “Why do you cry ?.” He did not answer my question but His tears kept falling on the table and I wiped the tears with a white robe that I wore. 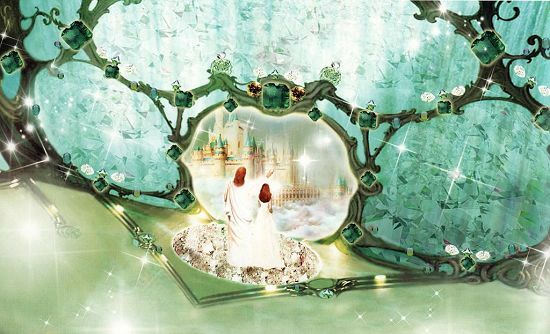 When I was in the Kingdom of Heaven, I always wore a white robe that I had never put it on before.